Microsoft has pulled off a serious coup in trumping the PlayStation 3 thus far. In launching a year earlier, it has gained a significant advantage. Sony has lost its grip on the console gaming market and risks falling even lower unless it reduces the price of the PlayStation 3 . That's the view of Ubisoft CEO Yves Guilemmot who made his comments yesterday. At the Reuters Global Technology, Media and Telecoms Summit in New York, Guillemot said, "For sure Sony will have a different market share, lower than before." 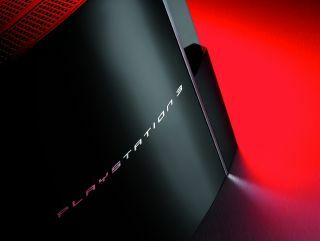 Sony's PlayStation 3 is the most expensive games console of all time; this high price combined with a lack of high quality games titles has led to the console selling in disappointing quantities in the USA and Japan. Guillemot added that Ubisoft will be supplying one of the 15 games that will be exclusive to the PS3 over the next year, but stopped short of revealing the game's name. Sony's PlayStation arm is losing money hand over fist at the moment. And a projected loss of £200m is seen as a victory by the Japanese electronics giant.